La Matilde Cigar Co. has begun to slowly release Matilde Serena, the company's first cigar to sport a Connecticut wrapper. According to Enrique Seijas of La Matilde, a few key retailers now have the new cigar, and by the end of the year, many more cigar shops will have it in stock. While Seijas wouldn't divulge the complete details of Matilde Serena, he said that its light, Connecticut-seed wrapper was grown in Ecuador and covers binder leaf from the Dominican Republic along with filler that includes three types of tobacco cultivated from the Dominican and one varietal from Nicaragua. 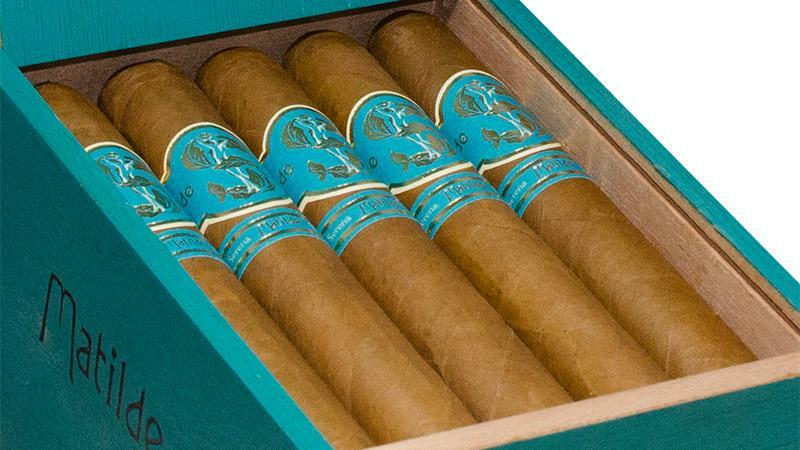 Serena consists of four sizes, packed in 20-count boxes: Corona, measuring 5 1/2 inches by 44 ring gauge; Robusto, 5 1/4 by 50; Toro Bravo, 6 1/2 by 54; and Grande, 6 by 60. The cigars will range in price from $6.75 to $8.50. They are rolled at Jochy Blanco's Tabacalera Palma factory, located in the Dominican Republic, and distributed by Quesada Cigars. "Matilde Serena was added to give the milder offering in our portfolio," said Seijas, who added that this will broaden the company's product line from mild to full in body. La Matilde was started in 2013 by José Seijas (Enrique's father), who has more than 40 years of experience working in the cigar industry. Many of those years were spent working as the vice president and general manager of Altadis's Tabacalera de Garcia Ltd. factory in the Dominican Republic, where he oversaw the production of some 60 million cigars a year, including such famous brands as Montecristo, H. Upmann and Romeo y Julieta. "Dad has worked a lot in the past with Connecticut wrappers and always wanted to add this to the Matilde family. So after having Habano and San Andrés, we understood it was time to create Serena." Cigar Aficionado smoked the Serena Corona (non-blind) at the recent International Premium Cigars & Pipe Retailers trade show. We found the mild- to medium-bodied cigar offered a nice balance of cream and spice, with a faint hint of all-spice in the nose. Look for a blind tasting review in an upcoming issue of Cigar Insider.